After what I think has been my most enjoyable VMworld yet in San Francisco I am fully looking forward to VMworld 2013 Barcelona, I have lots of sessions to present and always enjoy the European VMworld as it seams to me to be slightly more technical, maybe people adjust their slides a little after the announcements from the US VMworld to include more working details or maybe the Europeans are just that little bit more technical, I will let you decide! Another VMworld and I have to say, one of the best I have been too, the level of energy was huge this year at VMworld both for the speakers and the attendees, I think the Software Defined Datacenter is really a message that VMware customers can not only relate to but see how it is coming to fruition. Of course my highlights at VMworld this year was talking to customers about their automation challenges and helping them by providing solutions and places to research to find better ways to achieve these. I also spoke to a lot of customers who had already realized a level of automation not only with the great built in automation areas of vSphere but with PowerCLI, VCO, vCOPs and of course vCAC. For those wondering, this is what it looks like to face 1008 people waiting for your session to begin…. Oh how long ago it seams, VMworld 2012 and William Lam and I were talking about what was new in ESXCLI and PowerCLI, I enjoyed presenting with William and enjoyed the session and the demos we did in this presentation, now you too can enjoy the session as it looks like VMware has opened it up for free on youtube. And don’t forget, I have some great sessions this year around at VMworld 2013 on both PowerCLI and automation at VMware, check these out here. Thanks to Eric “Scoop” Sloof for blogging this here and letting me know. I’m looking forward to VMworld as always, if you haven’t registered yet then make sure you watch my video on why you should. Personally its going to be a busy one for me, as you can see from my below schedule but this is all amazing stuff and I cant wait for VMworld to begin. If your interested in any of the items below be sure to add them to your schedule builder and make sure you say Hi and chat to me about automation and integration in your organization and how I can help you make sure VMware is focused on what you need. Still not registered for VMworld? Are you still not registered for VMworld? Why not?! Click here to find out more about VMworld 2013 and register. This year there are some awesome sessions at VMworld, I think people are starting to realize the benefits of automation and how these can be achieved with VMware products. I am looking forward to attending and hopefully presenting some great sessions at VMworld 2013. Today is the last day of voting so if you are still looking through the session list and wondered what I had put forward this year then please find a list below, if these looks interesting to you then please feel free to vote for it here! I have high hopes for VMworld Barcelona, personally I had a great, if not busy time at VMworld 2012 SFO and hope to continue this in true European style in Barcelona. I wanted to just highlight what my main plans were as one of the things that always makes VMworld for me is talking to people about what they are doing and specifically how they are using or would like to use PowerCLI or automation in general. So, if you are attending VMworld Barcelona then please do come see me and we can have a chat. Stop by the Meet the Experts Lounge to book time with a Knowledge Expert. They are available throughout the week for casual, one-to-few discussions. Please reference their availability now and stop by the Lounge reception desk in Hall 6, to schedule a 30-minute appointment. 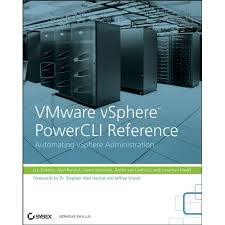 In this session Technical Marketing automation experts William Lam and Alan Renouf will take you through What’s New in ESXCLI and PowerCLI for the vSphere 5.1 release. In this session Alan and William will take you through the exciting features available to use when automating VMware products, both beginners and experts will learn how to use new features to make your life easier and more productive. Building on the success of our PowerCLI Best Practices sessions from VMworld 2011, we want to show you our next collection of PowerCLI best practices. This session will show and demonstrate PowerCLI in all its aspects managing and automating not just VMware vSphere® but also VMware vCloud Director®, VMware® View™, VMware vShield™ and more. Presenting with the awesome Luc Dekens. The first rule of #NotSupported is….. This year VMworld is going to be awesome, I have seen some things which are going to blow your mind! One thing I am really excited about is #NotSupported, this is a group of sessions which were the brain child of VMware’s Randy Keener (@VMRandy). Historically people have done some cool things with VMware software, often things which it wasn’t designed for or is not supported by VMware. Randy has taken these fantastic use cases and added his own group of sessions at VMworld hosted by some of the experts from VMware and other companies and full of great information you didn’t know was possible. To find out the answers to these questions and more come and listen whilst people like William Lam, Duncan Epping and many more tell you the amazing things that can be done with our software that is #NotSupported. Where can I find these awesome sessions ? I’m sure by now you have already seen that the VMworld Voting is open which means its time to have your say on what you want to see at VMworld, if you have not yet signed up for a VMworld account so that you can vote then please do so by following this link. Now I could do the normal “Vote for me because because PowerCLI will solve world famine” post but I thought I would do something different to the rest, what I’m going to do is just use the coolness of PowerShell to allow you to find my sessions, once you have them on your screen have a read of them for yourself and then you can decide if you ant to vote for them or not. You can do that by simply changing the username and password parts of the script below and allowing it to log into the VMworld site and display my sessions for you. This will of course not click the “Vote” button as that would be cheating, it will however give you a nice list of my sessions where you can click to get further information. If however you like what you see and want to vote then just click the thumb picture to make it green and I will thank you forever more and we will see what we can do about world famine.